Here at the Hydraulic Megastore, we have a variety of swaging machines to offer, ranging from electrical and manual. We supply you with simple to understand information that will ensure you that you will get the correct machine. If you can’t find what you are looking for just contact us. 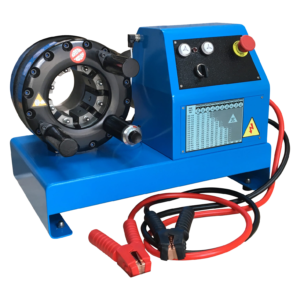 We currently stock a huge range of hand swaging machines, including our very popular P16HP – 1″ Manual Swaging Machine. It’s a manually operated and perfect for one-off production hose assemblies. Our range of efficient mobile swaging machines features the popular H50 is an incredibly advanced customisable machine. As standard, you’ll receive a full-colour touch screen control and a wide variety of optional features. 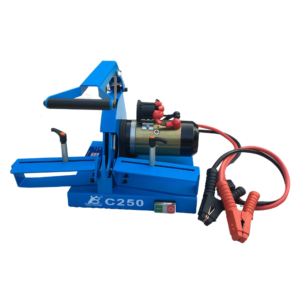 We have recently introduced a selection of hose cuttings machines to our range. Our range offers both workshop cutting machines and also machines designed for hydraulic service vehicles. 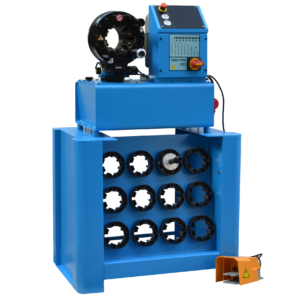 You will also receive free UK mainland delivery on our entire swaging machine and hose cutting range. If you can’t find the perfect machine for you, please get in touch with our sales team, and we’ll do everything we can to find the right product for you. We offer international delivery on all the products in this range!